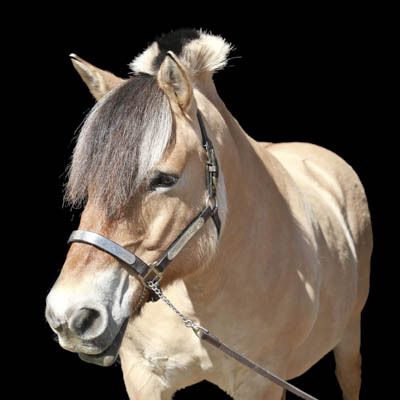 Holly is a Dun Norwegian Fjord/Belgian Mare. She stands at 15HH. Holly was born in 2002. Holly was generously donated to PARDS by DJ Korol in 2006 and she started service in 2008. Holly was being trained to drive before she started work as a PARDS Therapeutic Equine Partner. You will often see Holly tacked up in a sheepskin and a vaulting surcingle. Close contact with Holly is particularly useful for riders whose motor control, mobility, perception, cognition, behaviour, mental health or language skills are impaired. Stop by the barn in the afternoon, and you may catch Holly snoring and having her afternoon nap!